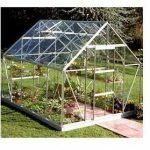 This neat and compact 4 x 6 polycarbonate greenhouse has one distinct feature that makes it a very useful buy. 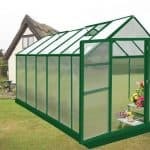 The polycarbonate material that is used in the glazing is tougher than glass, and much safer. 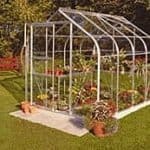 The choice here is a good one simply down to the fact that you have picked glazing that does a lot more for your plants over time, by giving them great levels of protection. 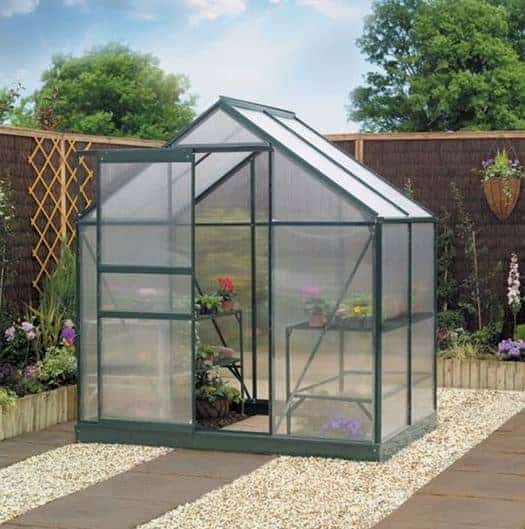 There is also integrated guttering so you don’t have to worry about the rainwater. 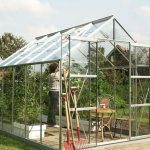 It will simply run off and therefore not be a problem in the long run. 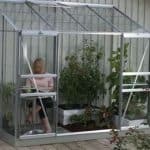 This is a great little greenhouse that works hard for your plants. 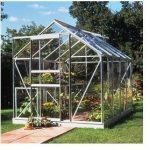 Hi Geoff, this is a 4×6 Greenhouse.